*I believe that the more information that you have as a driver, the better your opportunities will be on track. I’m going to be writing a few articles about how I believe you can improve your driving form. Let me know what you think by leaving comments on the StartingGrid Facebook or Twitter pages! As a driver, the higher quality of kinesthesia that your body receives, the more likely you will achieve a positive on track performance. The inputs that you feel through the road surface, the tires, suspension and the chassis help to determine what decisions you end up making on track. So it would benefit you to have the best input surfaces possible. Over the next few articles, I will focus on how the driver can improve his sensitivity in some of the key contact areas of the body with the car/kart. I’ll talk about how the brain inputs the signals that it is receiving, and what changes you can make to improve the quality of your driving inputs. The first area seems the most obvious, but is one of the most commonly overlooked- the hands. Your hands have a huge number of nerve endings and are a great source of tactile feedback. Your fingertips contain some of the densest nerve endings in the human body. As your hands are touching the steering wheel, they are receiving a great deal of information. Through from the road surface, through the vibrations of the front tires and, sometimes through the front suspension. Through each vibration, they are ‘measuring’ the amount of lateral tire grip you have while cornering, longitudinal tire grip under weight shifting and steering alignment. In the human hand, muscle tendon, nerves and blood vessels make passageways called ‘carpel tunnel.’ Surrounding this tunnel is a sleeve of myofasical (connective) tissue that envelops the fingers and hands all the way to the skull, the neck, the upper back and the rib cage. Over time, holding the arms in one position for a long period of time, during activities such as driving, can cause this myofascial sleeve to become dehydrated and overworked. Because our hands are so important in our ability to communicate and gather information, the body compensates by “slackening” the sleeve. It pulls our head forward and rounds the upper back and shoulders, so that the hands can continue to have motor function. Over time, this results inflammation of the myofascial sleeve and manifests as pain and fatigue through the back and arms and motor dysfunction and distortions in the sensations felt through the palms and fingertips while driving. So how do we get our hands to provide us with better information? We’ll first start with discussing how to grip the steering wheel properly. 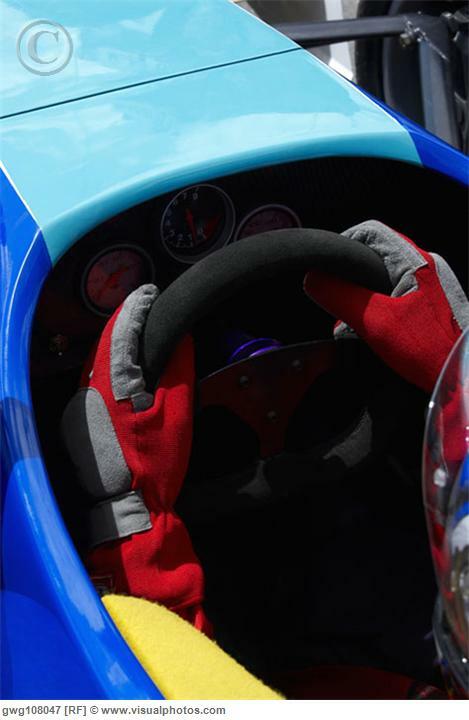 Novice drivers hold the steering wheel in a ‘death grip’, which is costly to performance. 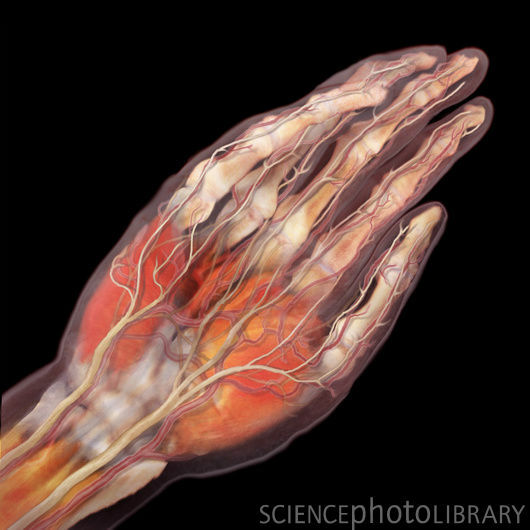 A ‘death grip’ constricts the capillaries in the hand, reducing the amount of blood flow that it can receive. This restricted blood flow numbs the feeling in the hands, reducing the amount of quality information that comes in through the hands and increasing the amount of time that it takes for the input signals to reach the brain. Gripping the steering wheel is hard work; therefore the hands get tired more easily. 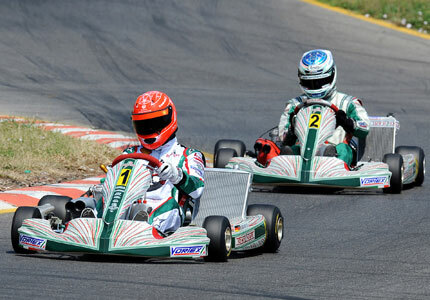 The longer that it takes for the driver’s brain to realize an input; the slower the car/kart will react in the corner. You see drivers with tired hands all the time, especially in sports such as karting. A driver with tired hands will complete lap-after- lap on the same line, then suddenly fall off-line or crash right into the apex of the corner. Why is that? One of the primary reasons for this inconsistency is that the driver gripping the wheel too hard is getting more physically tired in their hands, and can’t hold onto the steering wheel properly to give the right amount of steering input. So let’s reduce the amount of stress, shall we? That’s easy. Relax your grip on the wheel. A relaxed grip on the wheel, in combination with good hand placement, will allow your hands to provide more consistent contact points with the steering wheel, and extend the amount of time that you can maintain a good hold on the wheel. Relaxed hands are faster hands. Typically, having tight hands on the wheel are a result of poor mental programming, which has wired the driver into having ‘white-knuckles’ when driving. One way to reprogram the driver to improve their hand tension on the wheel, is to help them developing a new mental trigger to remind them to relax. For example, teach yourself to say phrases like – “Relaxed hands win races” while wiggling his fingers three times before heading out to the track. Practice wiggling your fingers while traveling down longer straightaways, when your body has more time to relax. It may sound silly, but providing small mental triggers can pay off when changing a particular driving technique. As with all things related to driving, working to improve your performances off the track will pay dividends on it. There are a number of hand-treatment exercises that you can do in order to improve the limberness of your fingers and hands and reduce tension and inflammation from your fingertips all the way to your neck and upper back. In order to continue to have sensitive hands, it is important for drivers to keep their hands properly hydrated. One treatment that is especially successful is the MELT hand treatment*. Overtime, without proper treatment, your hands can get dehydrated, which causes them to trap tension in the body. “Dehydration causes body pain, joint ache, toxicity, poor posture, wrinkles, muscle misuse, and loads of stress on our mind and body”- Melt Method website. Exercises like the MELT hand treatment help to loosen up the fingers and joints, allowing for more receptive control surfaces through the hands. It also hydrates the often-dehydrated myofascial sleeve that attributes to postural dysfunction and upper body fatigue during driving. Furthermore, because your connective tissue houses your sensory nervous system, properly hydrated hands will also allow for better reaction times on the track. Most of these exercises are so easy that you can do sitting at your desk, or waiting in line at the coffee shop, without looking awkward. You’ll find yourself enjoying the benefits of the hand treatments in other areas as well, if you spent a lot of time typing on the computer, etc. You can also use stress balls, which you can pick up at your local store. 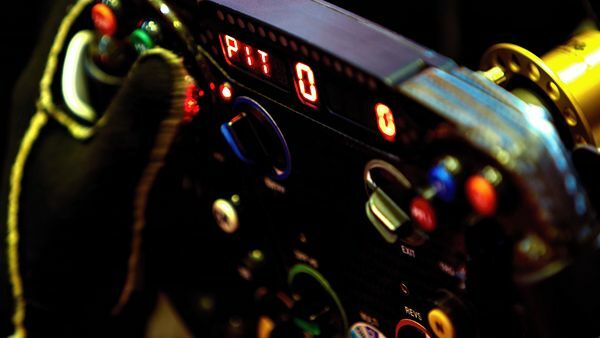 As one of your primary kinesthetic areas of car control for the driver, having relaxed and sensitive hands is key to producing a better laptimes on track. Just as you would tune your racing machine for a better performance, a skilled driver will pay attention on how they tune their body as well. So keep those hands limber, and you’ll be amazed at what you can achieve. Keep your hands relaxed, but now you know why. This entry was posted in Technique and tagged hands, MELT, relaxed, Steering Wheel. Bookmark the permalink.